For 25 years we have been providing clients with beautiful green lawns in Puyallup, WA through our state-of-the-art hydroseeding process. Don't know much about hydroseeding or want to learn more about what it can do to beautify your home's landscaping? Call us today! When you are looking for a way to improve the curb appeal of your home, consider our professional barkblowing services! Learn why hundreds of families have trusted us with their bark and compost needs and get in touch with us today. Have you ever moved a lot of rock, soil, or sand? If so, you know it can be a back-breaking and time-consuming process. Our professional rockslinging services can completely relieve those issues and provide you with the products you need! Call us today to learn more. Don't let soil erosion caused by wind and water affect your home and property. Make stormwater runoff the least of your worries. 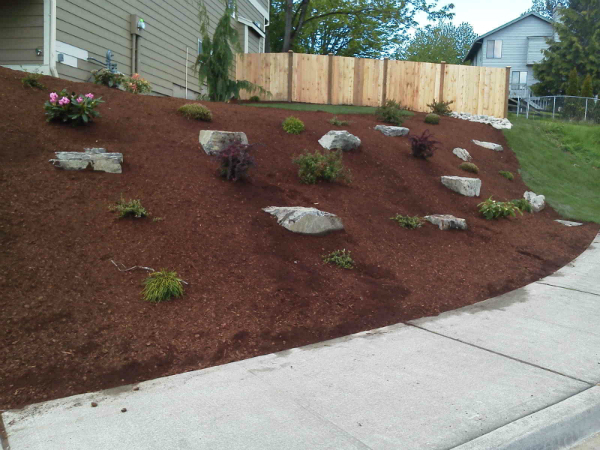 Let us help you find erosion control solutions based on your specific situation.